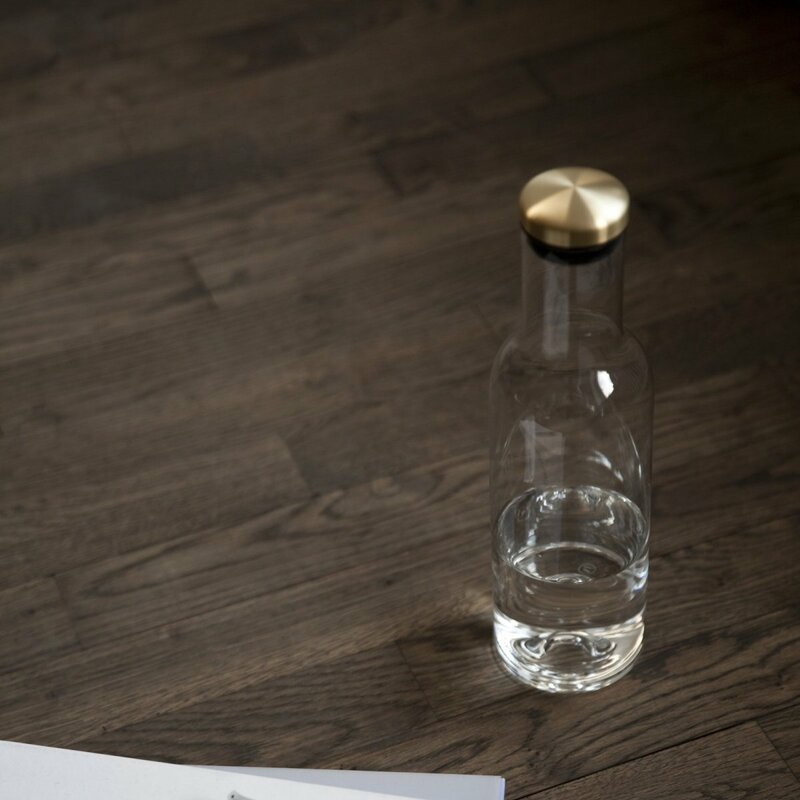 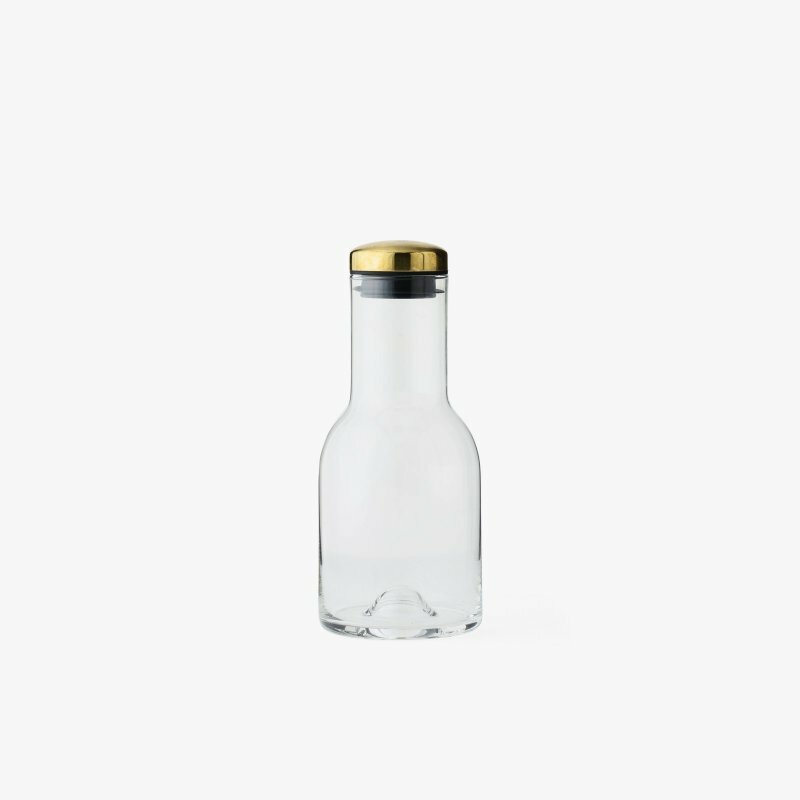 A brass or copper stoppered glass bottle with a timeless aesthetic, designed by Norm.Architects for Menu. Part of a series inspired by the silhouettes of classic vessels, such as the milk bottle. 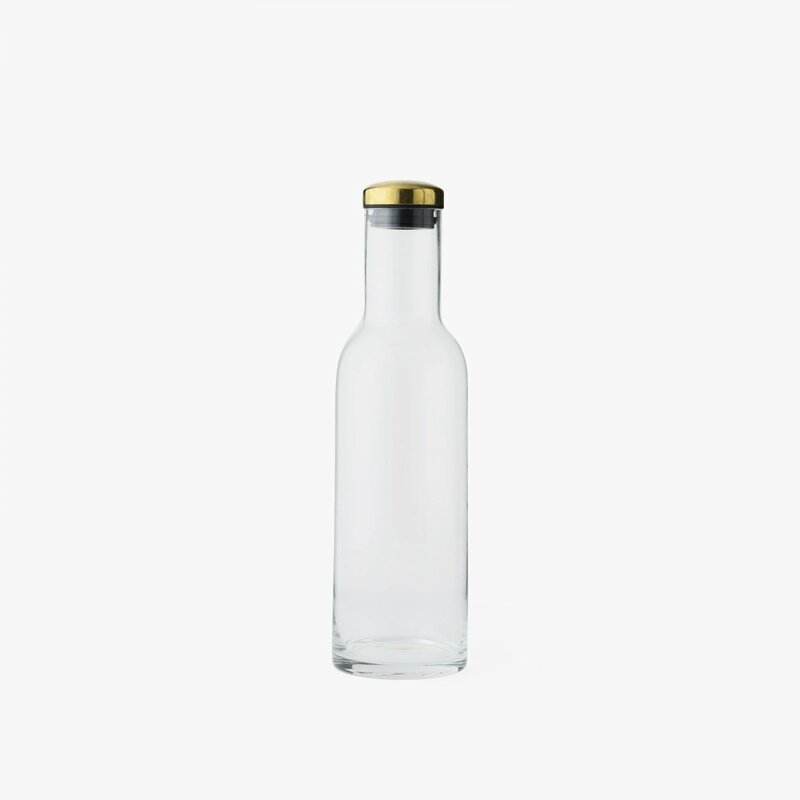 Bottle Carafe updates traditional brandy and rum bottles, with its stout, chubby base. 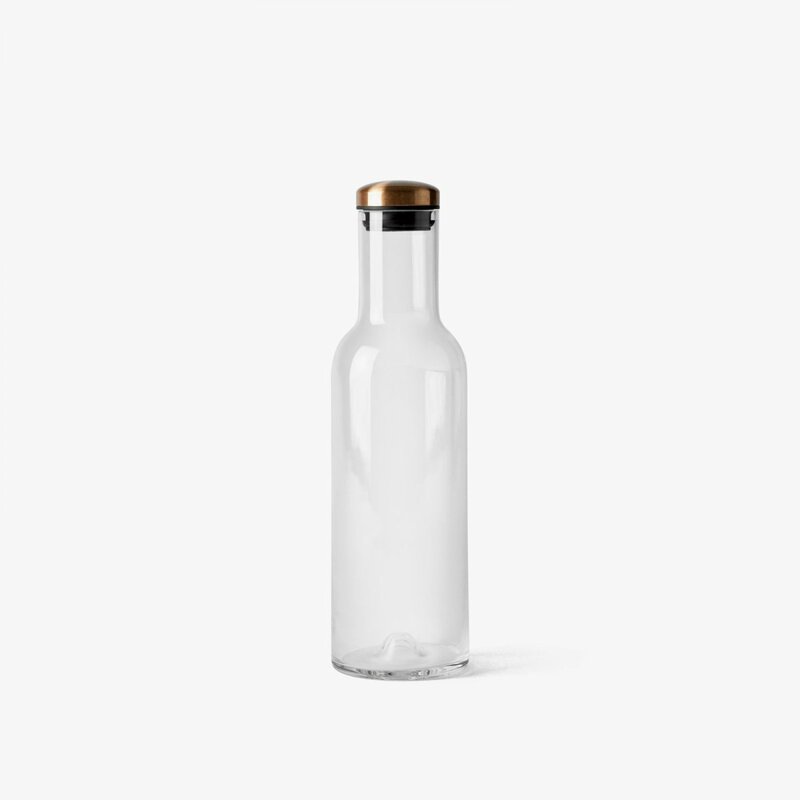 While honoring the past, Bottle Carafe services modern requirements, with a stylish brass or copper lid to keep liquids fresh. 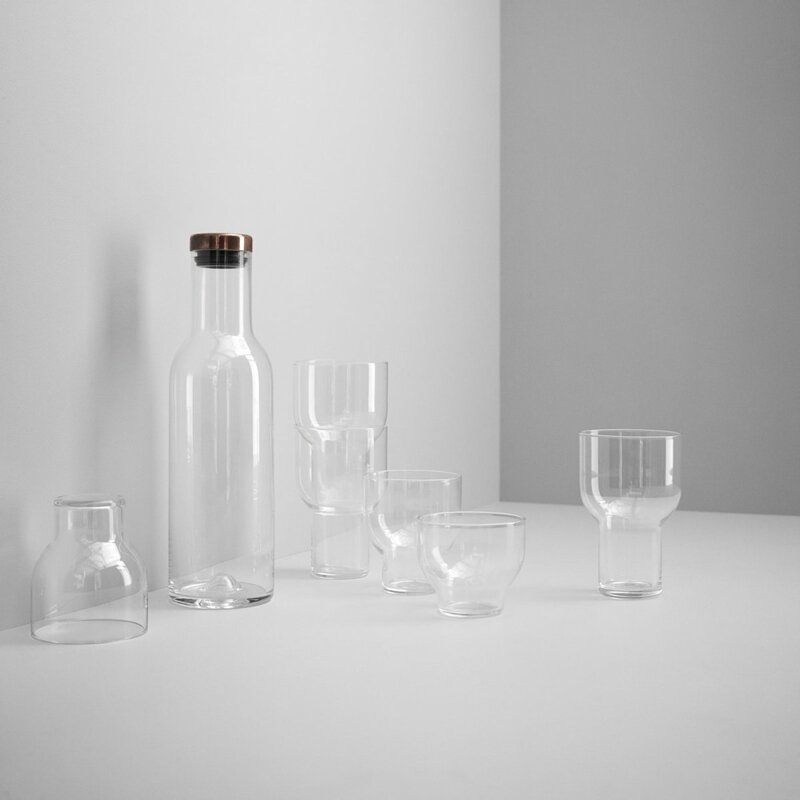 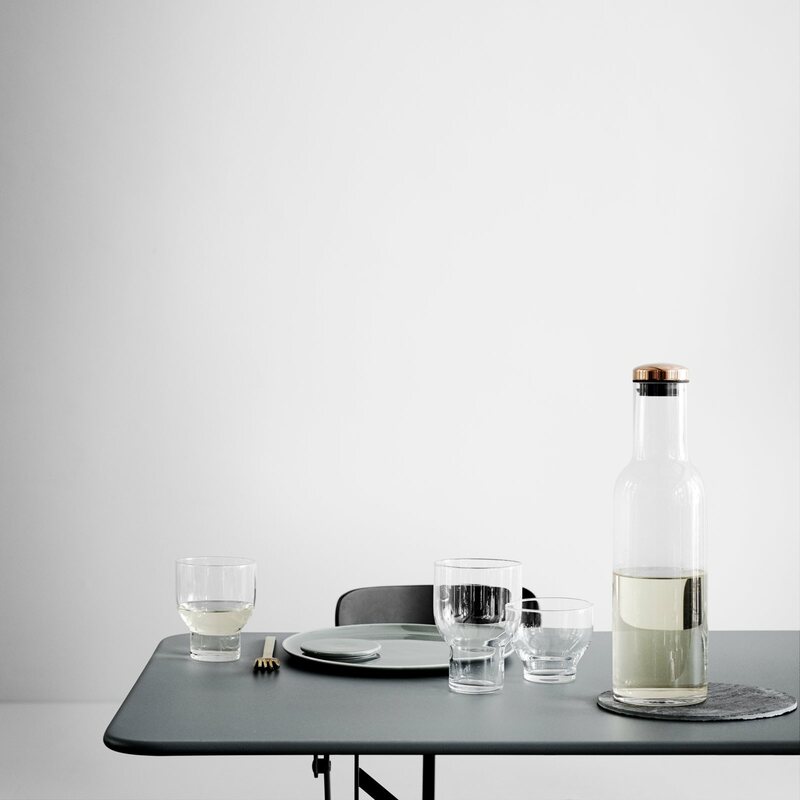 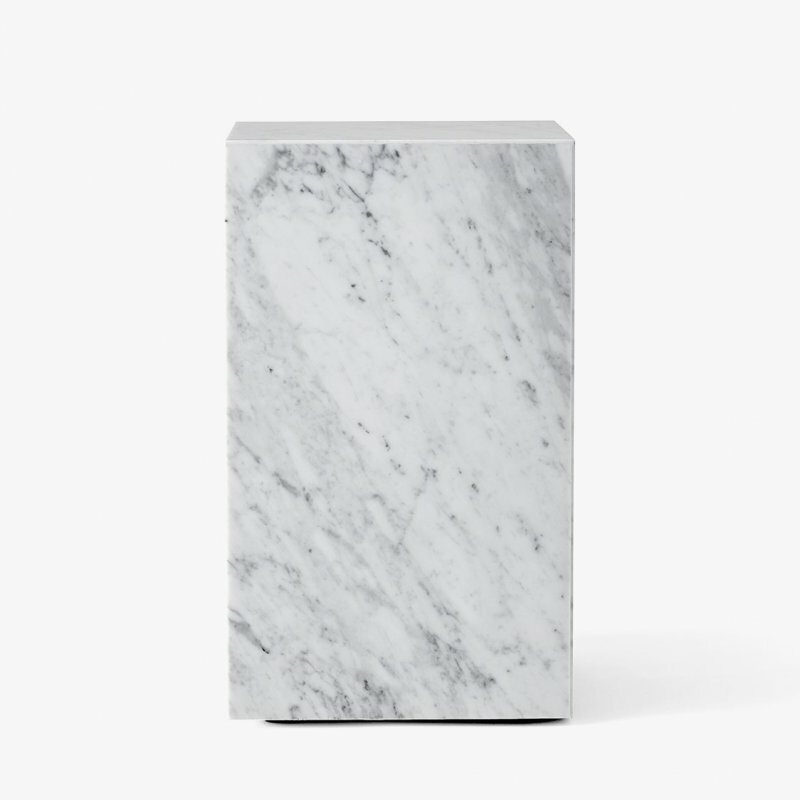 The carafe is a minimalist and refined rethink, sculpted from thick-walled mouth-blown glass. 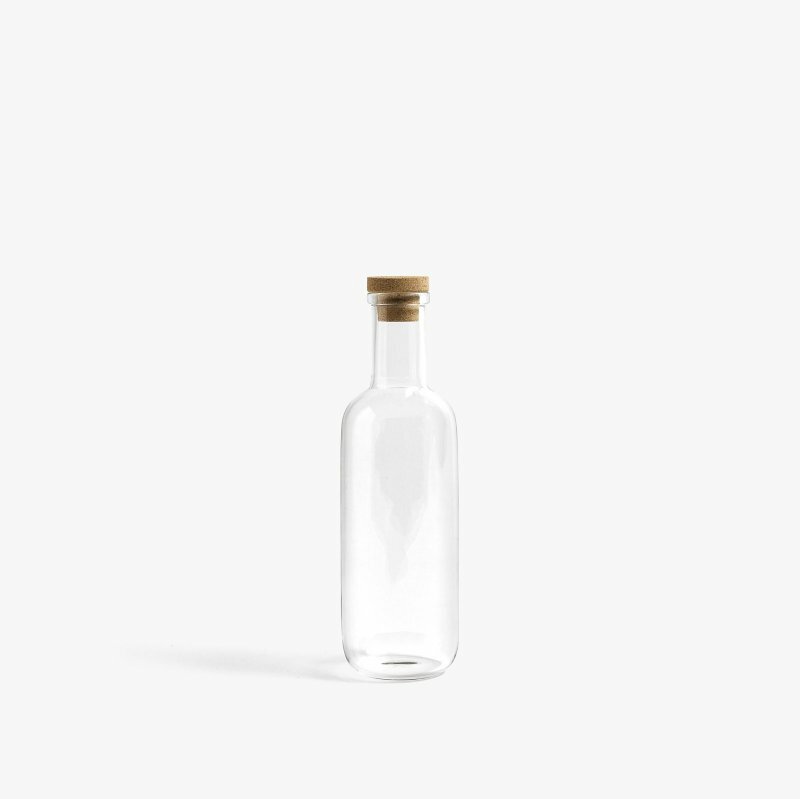 Bottle Carafe holds up to 1 liter of liquid.